We will donate 250 day old chicks to your event raffles. Shipping and packaging not included. Invitation to all club presidents. We will send you a donation certificate to raffle off at your event. The certificate is good for 250 day old chicks and will be redeemable for a period of 4 months after your event. The winner just fills in the information and sends it back to us. Email us at chickenhawkfood@gmail.com to request your certificate. If you would allow us we will join your club as an associate member. Just email us a membership form. We will also be happy to add your organization to our links if you will allow. 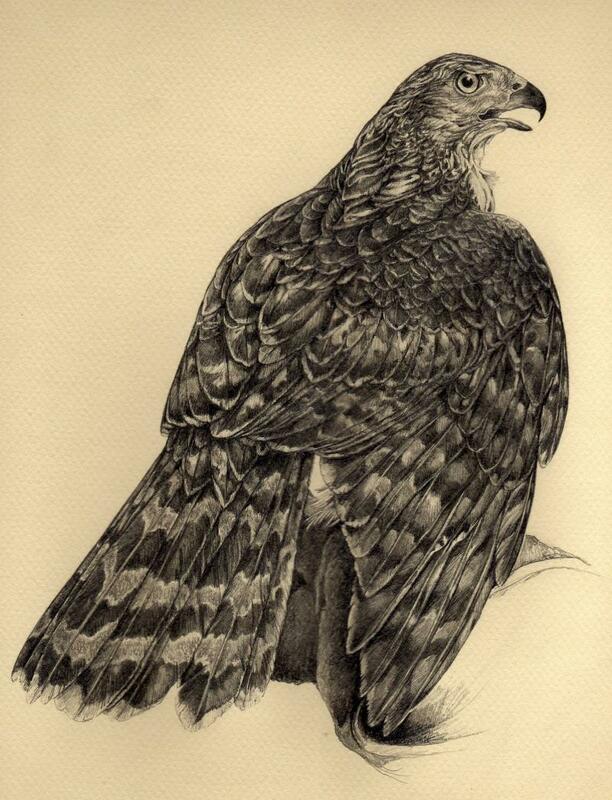 We would like to thank Kandis Phillips of the Virgina Falconers Association for providing us with many of the illustrations used on this site.